Greg brings talents of 37+ years of solid marketing experience, including Marketing Manager for two New York marketing firms with revenues of $4+ billion each. Concurrent to the marketing work, Greg performed software system design, graphic design, and Flash design with over 26 years in Information Technology. Greg is the author and founder of two nationally marketed practice management software products; Foxmed and Foxdent (history). 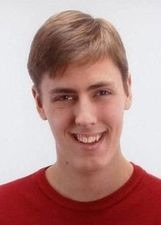 Greg is a 16+ year student of SEO and SEM, search engine marketing at Advent Digital. Meet David Schipper, SEO Technician. 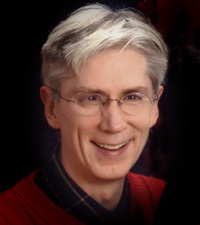 David began his work with Advent Digital in 2007. David has great skills in SEO and IT. He completed his BA from UTSA in 2013 with honors. David performs many SEO, HTML, and maintenance related to client SEO / SEM – Search Engine Optimization & Search Engine Marketing. Andrew Frascone, North Austin Web, located just North of Austin, is a full-service design firm specializing in custom web site design, online marketing, and hosting. By leveraging our extensive design, development, and consulting experience, we are able to provide customized, state-of-the-art solutions to our clients. Through a unique blend of project management, reasonable pricing, and superior customer service, our offering is unparalleled. We specialize in CMS (Content Management Systems) including WordPress and Joomla, and each client relationship we make is treated as a partnership. Tracie Taylor Ochoa, Taylor Ochoa Design, is skilled in full-service creative design and advertising. Tracie’s range of work includes logo design and corporate identity packages, billboard art, catalogs, brochures, ad campaigns, packaging, illustrations, media guides, programs, menus and interactive websites. Tracie’s designs have won awards in New York and San Antonio with the American Advertising Federation, the Association for Women in Communications, the Summit Awards and the Texas Credit Union Marketing Council. 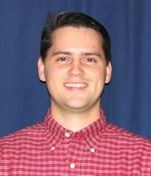 Brandon Zumwalt, Network Engineer –Brandon focuses on keeping security tight for your network. 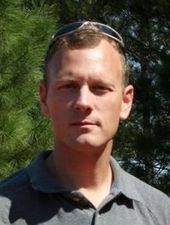 Brandon uses his skill sets of firewalls, virtual private networks (VPNs), and data encryption to keep hackers and viruses outside of computer networks. Brandon is President of Internet Contrasts.